Thank You for choosing Families First Health Center to be your Yuba CIty Urgent Care provider. 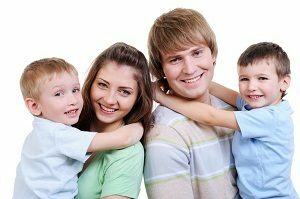 We know that there are many choices and we are proud that you trust in Families First to provide the very best in Urgent Care treatment for your Family. For more than 20 years, our goal at Families First Health and Wellness Center has been to provide the very best in Urgent Care and Family Practice Medicine for Yuba City and the surrounding area. To this end, we are committed to rendering friendly, compassionate, and efficient medical care for your family. When you enter our facility you will find a warm and inviting environment with a friendly, professional Yuba City Doctors who care for your personal needs and strive to provide the very best in medical care and customer service. We pride ourselves on providing minimum wait times and maximum results! Here at Families First Health, our doctors also understand the rising cost of medical care and the importance of minimizing out of pocket expenses whenever possible. We always strive to minimize costs while still providing the very best in urgent care and family medicine. We accept most insurance and can process your claims with minimum hassle and red tape. If you do not have insurance, that’s OK! You can take advantage of our everyday low price $70 cash payment for your visit. Its Fast and it’s Easy! We also offer sports physicals for only $35!